If you’re a network marketer, then you know how important it is to get eyeballs on your presentation. It is the most crucial part of building a network marketing or MLM business, and you have to get people to view your presentation. But for so many, getting people to view your MLM presentation is not an easy task. 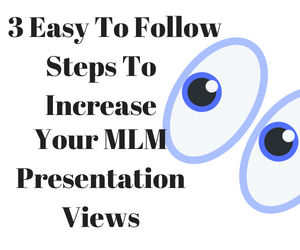 So in today’s post, I want to share 3 easy to follow steps to increase your MLM presentation views. A huge factor in getting more MLM presentation views, is to understand the overall factor of prospecting. Many people get this part wrong, and it causes the steps I will teach to become less valuable. What you want to do is to say little, and invite. The less a prospect knows about what they are going to see, the more likely they are to watch to find out. The idea is to be in a hurry, and have the prospect know this ahead of asking for a presentation view. If they know you’re in a hurry and then you ask if they are open, they will understand more on why you can’t take the time to tell them what it’s all about. You must understand this piece to increase the overall numbers in your MLM presentation views. Now let’s get into how we increase the amount of MLM presentations we get out each and every day. First way to do this is through genealogy leads. I recommend these type leads due to the higher chances of people getting involved than with any other type of MLM business lead. These are people who have proven they are open to looking, and joining MLM businesses. By calling these leads at a large rate each and everyday, you can increase your MLM presentation views by up to 10 or more a day if you stay aggressive with this. 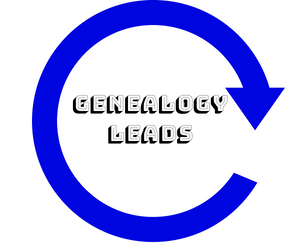 My personal way of getting MLM genealogy leads is through the use of a MLM genealogy lead system. This keeps new leads coming to me each and everyday so I never run out of possible prospects to invite to a MLM presentation. You can develop your own approach to inviting these people, but always aim for a specific amount of MLM presentation views everyday. This is how you begin getting new people working with you and even finding people who can also bring in others. Here is an easy way to get more people looking at your MLM presentation, and increasing numbers. It’s all about getting more and more people, regardless of the quality. You always look for the highest quality lead possible, but don’t NOT do something only because it takes more leads to get a presentation out. Online classifieds such as Craigslist is a powerful way to get more and more presentations. I have personally got many people from using classified ads. 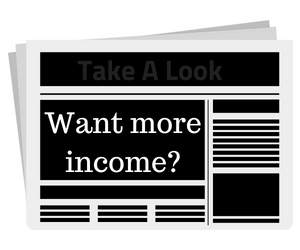 I like them because I simply spend one minute placing my ad, and leads come in everyday. I will call any and all leads who leave their phone number when they opt-in to my landing page. If you do not have a landing page for your MLM business, I recommend you get one. Using classifieds without a landing page will lead to poor results. Use a landing page, and a good template, it will lead to good results. Create content on a regular basis. My favorite way of doing this is through blogging and making videos on Youtube. If you make new content that shares actual valuable information, the leads you will get will be the highest quality possible. 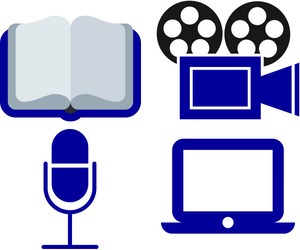 You must create this content often, and when doing so, include videos if all possible. Any new approach to getting more MLM presentation views is always uncomfortable and a learning curve. But, content creation will reward you heavily in time. The best approach is to work on content during the hours you can’t call out to prospects, or follow up. Use all your time wisely, and make it as productive as you possibly can. Combining Youtube videos with your blogs, will result in prospects from online searches, and from Youtube searches. But it takes several videos and blogs to begin getting recommended by Google. So be sure you content is valuable, and when that time comes, it will increase the recommendations from Google and Youtube and a huge audience will come from it. Using those 3 easy to follow steps above will get you a lot of prospects looking at your business. But when you consider and add social media to it, it will only increase the MLM presentation views, and your content’s reach. Using social media can get you to a lot of interested prospects. Writing posts on interesting points that relate to your business is a good way to get prospects. However, you never know for sure if each post will get a prospect, or which ones will pull them in. But by sharing your blog and videos through social media, and using their advertising platforms, you can build the audience to your content faster, and begin getting more and more MLM presentation views. Post about product results, new content you make, success stories from your team and company, and always leave the company name and such out of it. The more people become curious, the better your postings will be. We already understand that more MLM presentation views equals more people in our business. So by combining all 3 of these steps above (plus any more you may already do) you can have a constant flow of new people looking at, and joining you in your business. Be sure to take just one step at a time, and get the hnag of it before starting on the next one. It may be a slow process when you first start, but the steps above are the easiest and fastest to learn. Good luck on getting more people to your MLM presentation, and always feel free to contact me if you need help growing your MLM business. I am sure I can work with you and get you moving at a much more affordable package than most MLM coaches. P.S If you want a sense of urgency drip system to give your presentation, follow up, and build you a team much faster, then you can always take this free tour and learn how to get massive presentations to interested prospects. Nothing is more easy to get MLM signups that this! 2 replies to "3 Easy To Follow Steps To Increase Your MLM Presentation Views"
The information you have shared in your post today is exceptional. You have given excellent tips and advice on doing MLM/Network Marketing presentations. The most important tip I will add is to make sure that what you’re presenting will solve your prospects immediate problem. If not, then it’s all for nothing. Thanks Terri, I appreciate you coming by again!